New or used? There are several comparisons to make when deciding between a new or a late model used car. There are many financial details to consider when shopping for a car, from interest rates, to down payments, to buying versus leasing, so it's easy to forget the most important question: Do I want a new or used car? Choosing between new or used isn't as simple as it sounds. The age, condition, mileage and overall value of a car matters too. Many times, it makes sense to go for a new car; but sometimes, picking a late-model used car can be the better deal for you and your finances. Some car shoppers love the options. A new car means you can pick the color you want, along with features or upgrades. New autos also come with a warranty that takes care of major repairs for a set amount of time. And if cost is an issue, it's possible, depending on your choice of model, that your new car payment will be less than your payment for a late model used car. That new car smell and pristine shine may last for months but your vehicle's value won't. 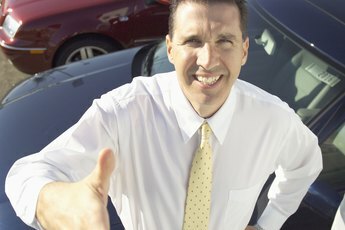 All cars depreciate with use, but a new model loses 11 percent of its value the moment you drive off the lot, says Edmunds.com. You won't have to deal with depreciation if you lease a new car, but you'll have the payment that keeps on coming, year after year after year. 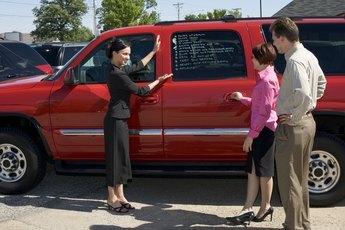 If you buy from a dealer, many late model used cars are certified pre-owned, meaning they meet or exceed the dealer's standards for the vehicle in terms of the body, mileage and mechanical condition. 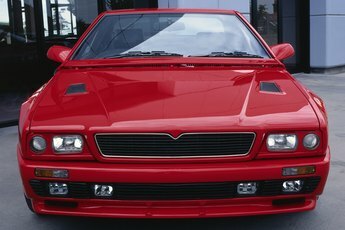 Combine that with low mileage and the differences between it and a new car are negligible. 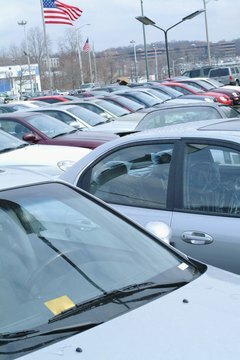 Super traders such as Carmax specialize in selling late model used vehicles, many of which are certified. The price of the vehicle may be significantly less than for a comparable new car. Cars are said to lose up to 25 percent a year in value over five years. Choose economical marques like Honda or Toyota, which hold their value longer and depreciate slower than for new cars. With cars seeing improvements in gas mileage, handling and overall reliability, that newly used car with just 35,000 miles stands a good chance to make it to 135,000 miles or more. That means 100,000 miles and many years left in the car. Ask your dealer: the late model used car you've got your eye on may still be under warranty. With used cars, what you see is what you get. If you're happy with the sticker price, but not with the hot pink paint job or lack of air conditioning, the savings isn't worth the sacrifice. While that car you're eyeing may have low mileage -- say 40,000 on the odometer -- there's no telling if or when it'll need maintenance. Buying used is a crap shoot. Is the peace of mind of a new, never-owned vehicle worth the extra cost? Before buying a used car, always take a test drive. Arrange for a mechanic to inspect the car; his fee will be worth it if it means avoiding a bad investment. A late model used car may be cheaper, but also lower in value if you're looking to trade it in down the road. Depreciation Infographic: How Fast Does My Car Lose Value? Paul Sisolak has more than 13 years of experience as a journalist. He covers business and finance, with work appearing in "U.S. News & World Report" and online. Sisolak earned a bachelor's degree in journalism from Monmouth University in New Jersey. When Does it Make Sense to Buy a New Car? What Is the Blue Book Value of My Car? Can You Trade in Two Cars for One?